Due for service? Making an appointment has never been so easy. Schedule your appointment online 24 hours a day, 7 days a week on any PC or mobile device. Plus applicable taxes. Valid only at ANTELOPE VALLEY MAZDA. Cannot be used with any other applicable offer. Mazda vehicles only. Prices may vary by model. Hazardous waste fee if applicable. Please present coupon at time of write-up. 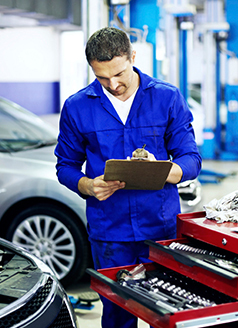 trained to ensure your vehicle performs at its best. We use Genuine Mazda Parts to match the quality and detail with which your Mazda was designed. Convenient hours, competitive prices, Mazda-trained technicians, Factory Techline and Genuine Mazda Parts.